Daniel Coghlan speaks to Julie Nixon about buying clothes for other people. If you love to shop, it might seem like something of a dream to be paid to do it. Surely spending all day looking at clothes, and buying them with someone else’s money must be great fun, right? To find out the truth, I spoke to freelance costume buyer Julie Nixon, who recently worked with us on The Heretic. People tend to think that the role of a costume buyer is very glamorous. Is it in reality? Glamorous? I think not! The truth is that it can be incredibly stressful. Especially on film where things can change by the hour – and then if there are stunts involved you need that same outfit in multiples. The most recent film I worked on was I Frankenstein, and the lead actor had basically three outfits, but he also had a stunt double, photo double, and a stand in double. So for his contemporary costume we required over 20 identical outfits, in various sizes – even down to the socks. Did you always want to be a costume buyer? Where did you get started? Well no, I sort of fell into it. I started as a buyer about 12 years ago when Costume Designer Anna Borghesi (Mao’s Last Dancer, Ned Kelly) was doing a film called Child Star: The Shirley Temple Story. They were extremely busy and needed someone who had patience to phone the extras to get their measurements, and I was in the right place at the right time! Growing up on a farm in NSW probably gave me the most useful skills [for this job]: lateral thinking, patience, and also the ability to relate to a broad spectrum of mankind. You recently worked on The Heretic. Can you describe a normal day working on the show? I’d arrive at MTC about 7.30am – check the rehearsal report from the day before and action what needed to be done, i.e. get the relevant clothes out of stock for the actors to rehearse in. Then I’d brew up a pot of tea and discuss with Judy, John and Joss [our Wardrobe Manager, Supervisor and Cutter respectively] what their requirements were. 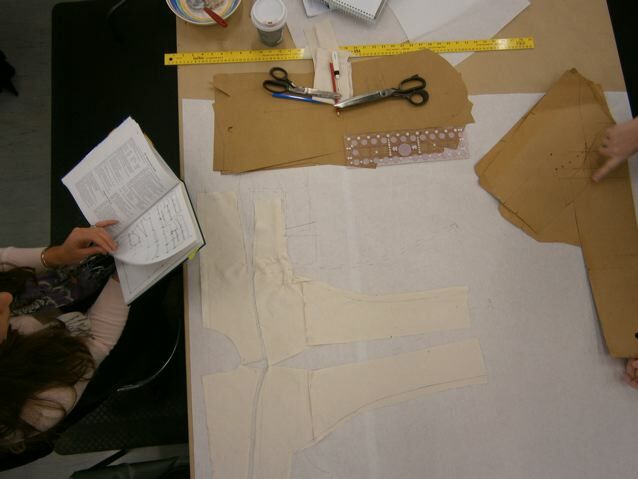 The wardrobe team begin cutting and assembling. As The Heretic is a contemporary play, most of the garments were bought or obtained from the MTC stock. Noni Hazlehurst’s wardrobe however was largely a ‘make’, so fabric samples were obtained from various retailers and wholesalers for the designer, director and actor to view and select. In terms of footwear, it’s quite important that this is obtained early on in the rehearsal process so that the cast can get used to them. Afterwards I’d speak to the designer, Esther Marie Hayes, to see what her day looked like, and depending on her movements, I’d go shopping with her. I’d also work out times that the actors were available for fittings – to lock in an actor’s outfit many options are required. 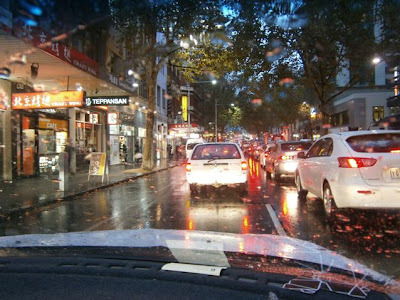 Quite a lot of the day is spent in traffic, which seems to be getting worse with every job I do in Melbourne. Being based at MTC was rather good in that some days I would catch the tram into the CBD and take my shopping trolley to go buying – much less stress! Reality of a buyer’s life – traffic. If you could work on any show, what would it be? Why? I suppose the ideal job would be one where the costume designer has total creative control – more and more you find that when you do the big American films everyone and his dog has a say in the costumes. Where’s the strangest place you’ve been in order to find the right piece? It would have to be a knacker’s yard out at Yarra Glenn to obtain ‘fresh’ horsetails. It was so like a Peter Greenaway film. What’s the best find you’ve ever encountered on a costume buying mission? That’s hard to say. You are really looking for things for the show, so it depends on what is required. It probably comes down to the people I deal with – they are my best finds. **Would you like to join the MTC team? We’re currently looking for people with excellent customer service skills to help us during our 2013 Subscriptions Season. All images by Julie Nixon.